These high-tech sun protective products and oil-free moisture-boosters for skin and hair will keep you gorgeous and glowing all summer long. 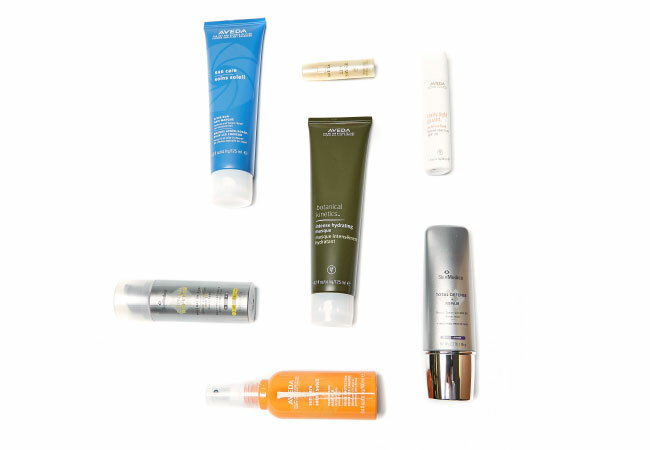 Aveda Sun-Care After-Sun Hair Mask, $28; Aveda Lip Saver Moisturizing Balm (with refreshing cinnamon, clove and anise), $9.50; Aveda Daily Light Guard Defense Fluid SPF 30, $42, all at Joseph’s Salon and Spa. Skin Medica Total Defense and Repair Broad Spectrum Infrared Protection SPF 34, $68; at A Woman’s Touch in Saint Matthews. Aveda Sun Care Protective Hair Veil (prevents damage and color fading), $29, at Joseph’s Salon and Spa. Skin Medica Essential Defense Mineral Shield SPF 32 (tinted sunscreen for post-procedure and sensitive skin), $40, at A Woman’s Touch. Aveda Botanical Kinetics Intense Hydrating Masque (oil-free masque that hydrates and cools skin), $25, at Joseph’s Salon and Spa.